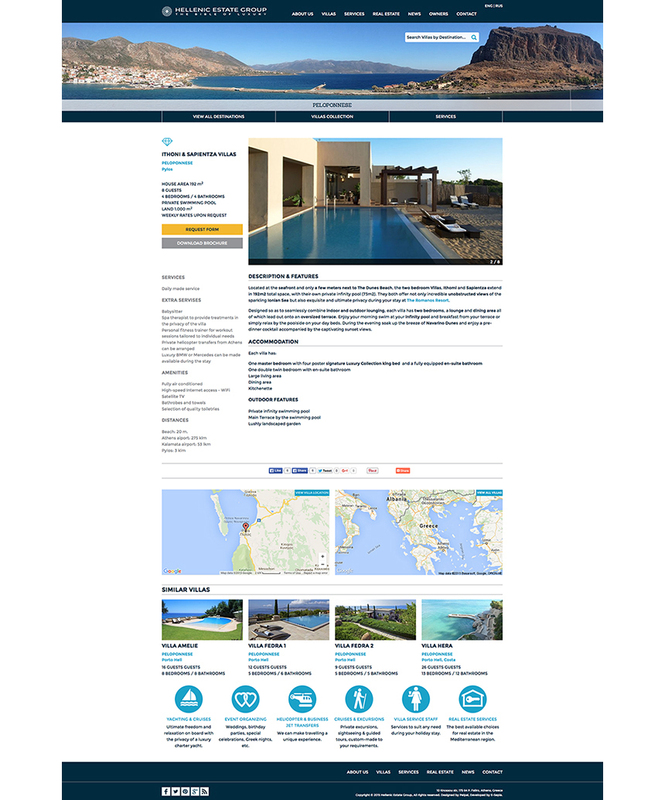 The Hellenic Estate Group, a real estate company dealing in hi-end villa rentals throughout Greece, asked us for a complete redesign of their website (www.hellenicestategroup.com). 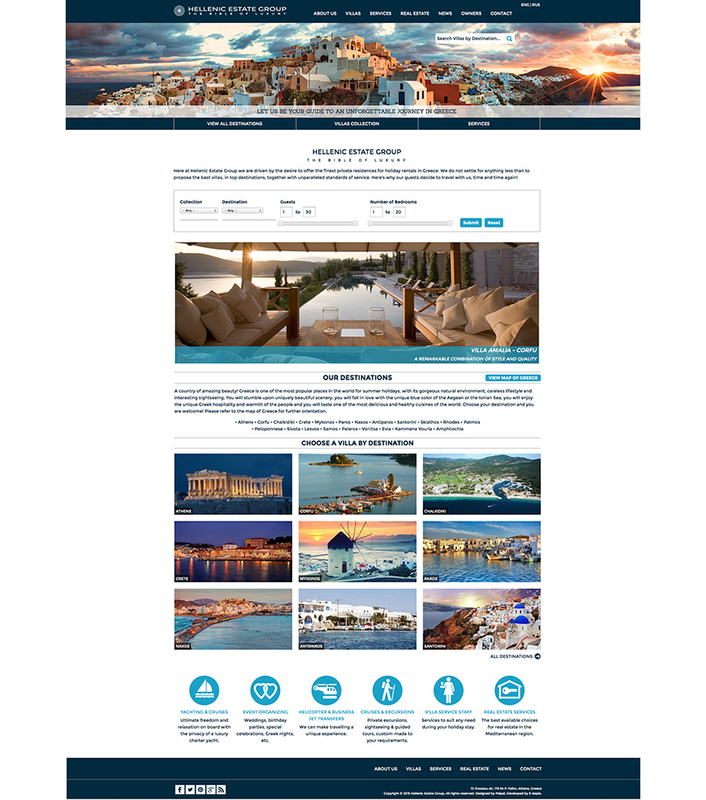 The result is an elegant, user-friendly site which reflects the company's diversity and exclusive services. 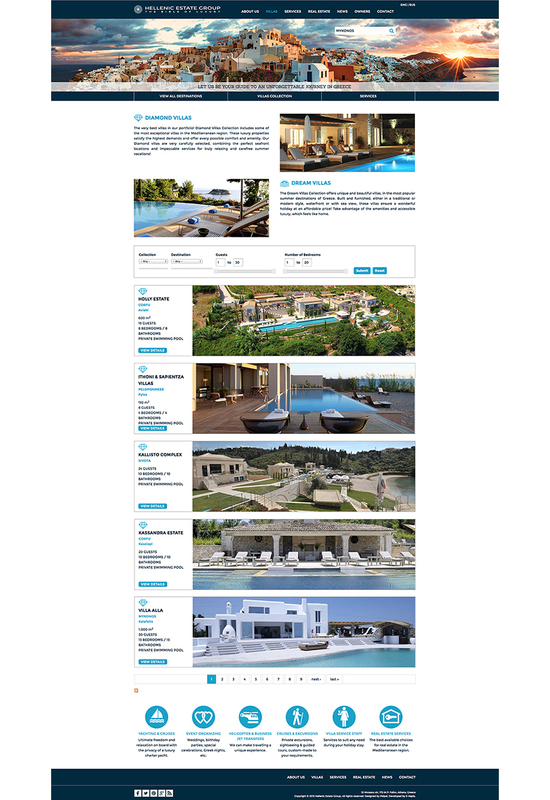 It was developed in co-operation with e-sepia web innovation.